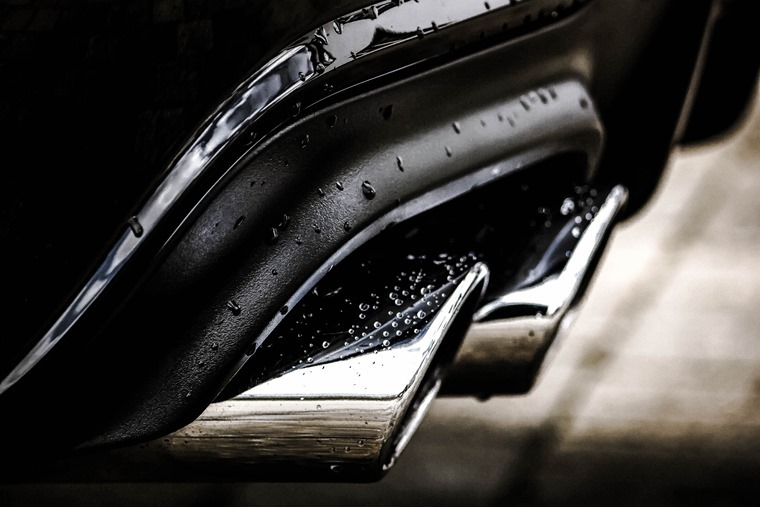 The British Vehicle Rental and Leasing Association (BVRLA) says it wants to work with the government to reverse the recent increase in average new car CO2 emissions. Average CO2 emissions rose for the first time in almost 20 years in 2017 according to the Society of Motor Manufacturers and Traders (SMMT), and the BVRLA believes that adjustments to company car tax bands would help reverse the trend. Last year’s rise has been put down to a drastic decline in diesel registrations (which produce less CO2 than petrol cars). Although they are increasing in popularity, petrol, hybrid and all-electric vehicles are yet to offset the lack of diesel demand. Increasing incentives for the latter could help. Ahead of the chancellor’s Spring Statement, the BVRLA has urged him to accelerate the introduction of its 2% company car tax band for zero-emission vehicles. This tax band is currently scheduled to increase over the next two years to a high of 16% in 2019/20, before dropping to 2% the year after. 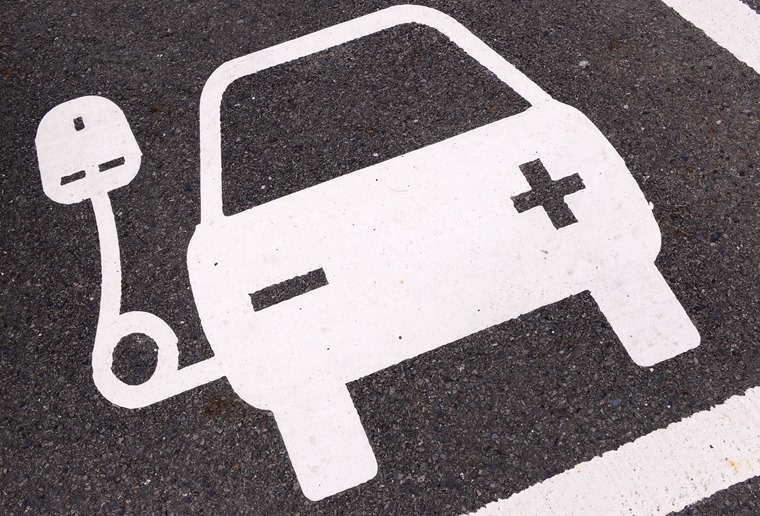 There are signs that the current tax rate is putting the brakes on new EV registrations from company car drivers, who are postponing the jump to electric until the tax regime offers an incentive. 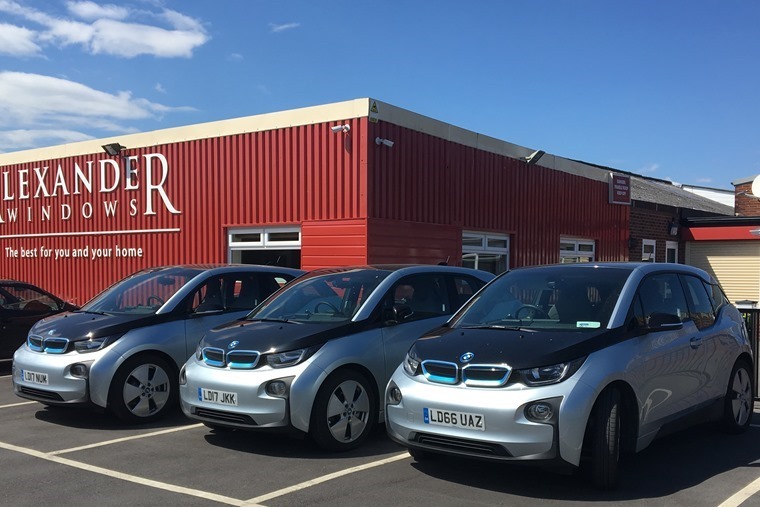 Read more: what’s it like to run an electric fleet? Company cars have some of the lowest carbon emissions on UK roads, largely because many firms set a maximum CO2 limit and company car tax payers are incentivised to choose low or zero emission models. The BVRLA believes that recent changes to the company car tax regime have reduced the impact of these incentives and encouraged many employees to leave their company car scheme and either lease their own vehicle or use an existing household one. Read more: Company Car vs Car Allowance: which one is best for you? Q4 figures for 2017 show that the business lease fleet shrank by 2% year-on-year, while the personal lease market grew by 20% in the same period, evidencing the trend of people moving away from company cars. 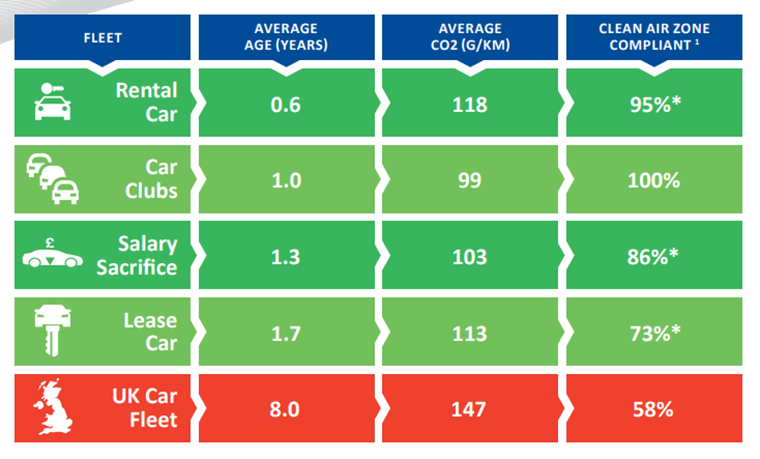 Overall, the average new personal lease car emits 125g/km of CO2 – 14% more than its new company car equivalent, which has average emissions of just 110g/km.